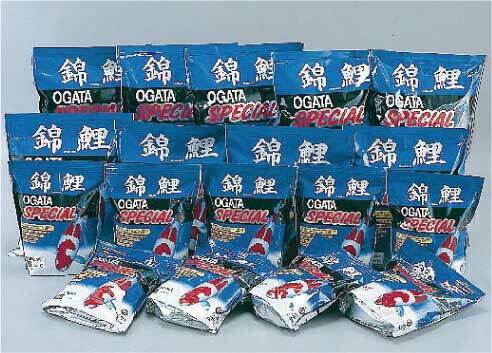 of Nishikigoi, after years of study. 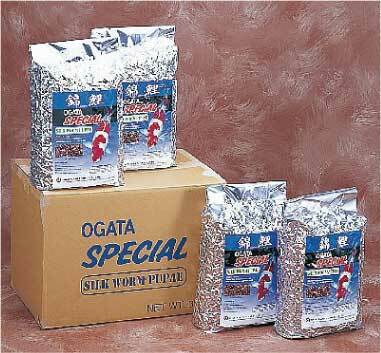 OGATA SPECIAL, has been increasing rapidly in popularity as the latest koi food. 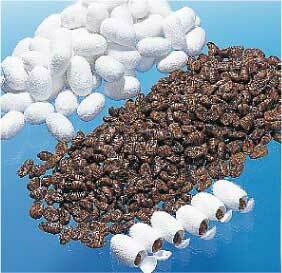 Silk worm pupae which are rich in protein and lipids of superior quality, have been used since old times by many koi breeders. 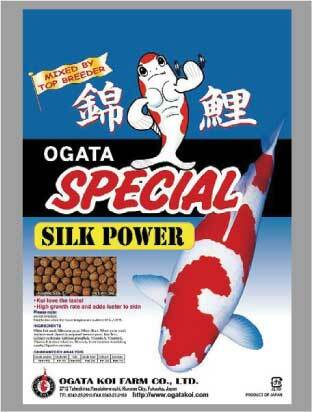 They are the best for the koi’ s growth and luster of the body. condition and koi have better development.